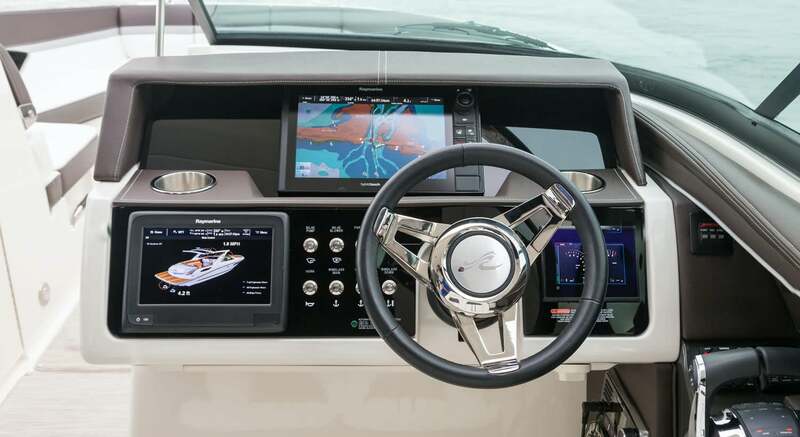 Some people believe that Pinnacle Yachts is more of a Tech Firm than a boat leasing company. Pinnacle has invested heavily to develop technology that allows Members to build a schedule that satisfies their specific usage desires, while maintaining absolute fairness to all Members. We humbly believe that our proprietary scheduling software is the most advanced in the fractional yacht, private jet and real estate industries. Pinnacle has also developed systems to train Members, improve vessel reliability, and facilitate timely maintenance to achieve the most important objective of all – keeping you, your family and friends safe. When launching Pinnacle, we recognized that scheduling would be our most formidable challenge. Without sophisticated scheduling capabilities, it would be impossible to deliver an ownership-like experience on a premium yacht for a reasonable price in a way that is fair to all Members. Most scheduling methods are first-come-first-served. Members grab open time on the calendar with minimal rules for fairness to others. Unless you are first to secure your time at the moment it becomes available, you will likely miss out on dates that are important to you, and will be forced to take other people’s leftovers. This approach is not equitable because fist-movers are unduly advantaged at the expense of everyone else. Another scheduling method is auction based. Members purchase a pool of points and then bid on days they would like. This method causes high-demand days such as weekends, fireworks nights and city events to be bid-up to high levels and become very expensive. Furthermore, the final bid price is unknown upfront. These factors drive the cost of the most desirable usage periods up excessively, and make predicting actual usage costs highly uncertain. Pinnacle’s approach is entirely different. Managed from your desk-top computer, tablet or smart phone, each Member creates and maintains their own personal schedule. Sophisticated safeguards are built into the software that assure fairness to all Members. Our proprietary scheduling technology is not first-come nor auction based. Every Member is treated fairly and equally. You may use your yacht for special occasions such as anniversaries and birthdays, business entertaining, city events and for other occasions. Members may also schedule week-long cruising and week-end getaways. As the season progresses, dates may be traded online with other Members on your yacht, providing great flexibility. Members may also use their yacht spontaneously if it is not otherwise scheduled, to enjoy extra time on the water without charge. The safety of you and your crew is Pinnacle’s utmost objective. Using remote telemetry that Pinnacle has developed, the position of every yacht in the fleet is continually monitored in real time, and recorded. Remote telemetry is further utilized to continually monitor bilge water levels and engine compartment fire sensors on some yachts. In several marinas, Pinnacle has in place day and night cameras to monitor harbor channel and dockside activity. Pinnacle has developed systems for the planning and execution of all service needs. This technology aligns usage schedules, part inventories, procurement, and technician assignments to perform service in an efficient manner. This integrated process keeps maintenance costs down which contributes substantially to Pinnacle’s ability to offer cost-effective programs to its Members. Member training is an essential aspect of safety. The ability to effectively deliver multiple aspects of training is greatly enhanced by Pinnacle’s training management system. Course registration, prerequisite text and video review, on-the-water lessons, testing, grading, certificate generation and record keeping is entirely managed via Pinnacle’s training technology.